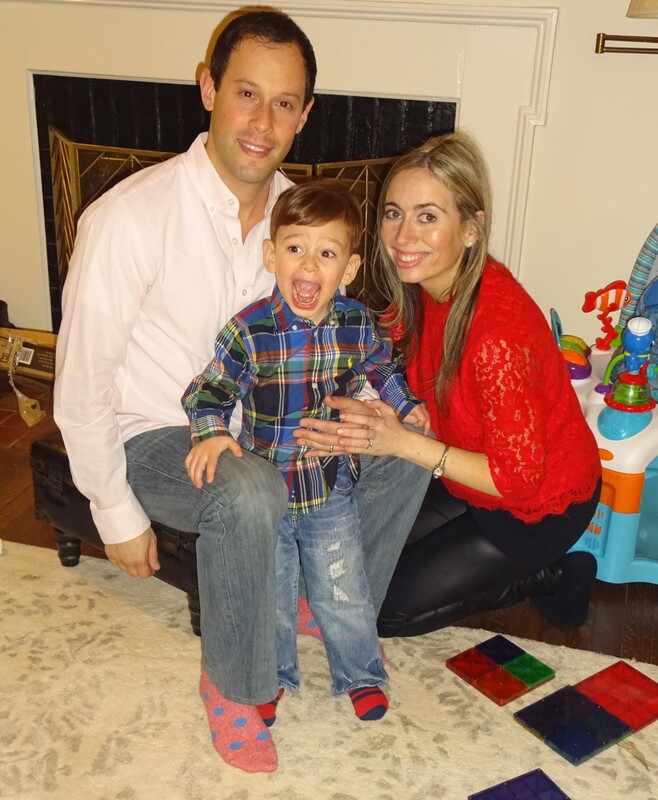 General Assembly executive Ali Jacobs Levitan on the challenges and joys of returning to work after the birth of her son. Attempting to navigate work-life balance. In an age when women are running for president and taking control of their destinies, I’m excited to meet my new lil’ “girl boss” this June. If I’m being honest, I’m also completely terrified about remembering what to do with a newborn, the sleep deprivation of the first few months, and how in the world we are going to handle a parent-child ratio of 2:2 with our highly active almost-3-year-old son Jake. I’ve finally figured out some sort of balance when it comes to working full-time while leading a team, balancing my and my husband’s business travel, “mommy daddy days” with my son, date nights, exercise, and making time for myself. It’s not a perfect science but it’s working for me — and now I’m about to shake that all up with a new baby girl. At every point in my career, long before I had my son, work-life balance was essential to me. It’s one of the main reasons I decided to leave behind the long hours, grueling work cycles, and exhausting lifestyle of investment banking to follow my passion into media and technology. We all make sacrifices throughout our lives and careers and sometimes have to pay our dues with some grunt work in the early years, but it’s important to recognize what makes you happy and figure out a plan that works for you at that moment in time. Here are my tips for attempting to juggle a family and career. Choose work you love — never settle. Your time is too precious to spend on work you don’t love. Plus, after you have a child, there is very little time that you can call your own. Ideally, you find a job that motivates you and a team that inspires you, so work rarely feels like work. In my role leading the Media team at the tech education company General Assembly, my work and social life overlap. Because I’ve been in the media industry for 15-plus years, many of the executives I’m taking out for breakfast or lunch are also my friends and industry peers. I’m getting paid to network with people who inspire me and teach me new things every day. I’ve learned so much from the women and mothers who came before me (both personally and professionally) and paved the way for a bit of balance. Plus, it’s nice to be able to talk shop about work and life with other parents who are attempting to balance their crazy and demanding schedules. You might be able to close a business deal with the same person who is recommending a new nanny or offering potty-training advice. Sometimes, it can be easy to get caught up in a comfortable or cozy job situation. Maybe the benefits are good, the workflow is on autopilot, the paychecks leave room for fun and savings. But for me, if I’m going to take time away from my family it needs to be for something that continuously challenges me to learn and makes me better at what I do. Find a work culture and team that values flexibility. After my son was born, I wasn’t able to work remotely on Fridays. I knew work-from-home Fridays would be non-negotiable when I took my next role. When negotiating for a new job, make your needs clear from the start (once you have the offer), and don’t settle for a culture that won’t be sustainable for you. If the option to work from home and do laundry while you’re on a conference call — as I tend to do — will make your life easier, fight for it. If you can sneak in a quick run between dropping off your child at school and your 9 a.m. call instead of spending 30-plus minutes commuting to work, make it happen. It was an amazing sign when I accepted my position at General Assembly and the answer to my request was “of course!” I work consistently from home on Fridays, plus one other morning or afternoon per week, and being able to take control of my own schedule — which includes school dropoff and pickup for my son — is rarely an issue. (Thankfully, my husband can cover for me when I have an early breakfast meeting or client trip.) GA, thankfully, empowers employees — not just parents — with flexibility to run their own schedule. I get to work from home not because I’m a mom, but because people trust me. That changes the entire narrative! Plan your schedule wisely. Minimize meetings when possible. You can be really, really successful if you take time to plan your own schedule, look at your calendar first thing in the morning, and map out where you and your team should be spending your time. My team at GA uses quarterly OKRs (objectives and key results) to give us a guiding vision to rally around with weekly priorities and health metrics to keep us focused. We use Monday to set top priorities for the week and share with the leadership team and Friday to celebrate the wins. When I worked in finance, the corporate culture was all about face time and the hurry-up-and-wait for senior executives. Every industry and company has its own set of expectations for its employees, but I believe that the explosion of the startup culture and tech industry has helped to change things on a larger scale. Open offices, shared workspaces, and the working-remotely mentality are more present than ever. These days, it’s not as necessary for everyone to be there in person all the time, especially when you’re setting up Zoom meetings or Google hangouts with colleagues in London, Asia, or L.A. I also don’t believe in meetings for the sake of meetings. I always ask for more details about the meeting and why I need to be there before determining whether it’s absolutely necessary. And my team knows that I avoid scheduling in-person client meetings on Fridays unless there’s a really good reason for it. Hire great people. Trust your team — then delegate. It’s ridiculous to think that you can or should be doing everything all by yourself. You need to hire an amazing team, give them the tools and the training they need to succeed, and empower them to make things happen. Collaboration and a positive team dynamic is key. I make sure everyone on my team — especially the more junior people — has the opportunity to come with me to senior client meetings and calls. That way they can begin to foster those relationships and take on more responsibilities independently. There’s a lot of value in mentoring people on your team and treating them as equals. This also sets you and the team up for success when you take time for a vacation or, in my case, prepare for maternity leave. My door is always open — but if my colleagues constantly need to get in touch with me for minor decisions, that’s bad for everyone. And going back to the work flexibility — I empower my team to work from home when needed, and figure out a cadence that works for them. You know your own schedule, you know where you need to be. I’d be thrilled if no one was in the office all week because they were spending their time with clients and forming relationships over breakfast or in the boardroom. I fully expect my team to crush our numbers and execute incredible partnerships while I’m out on leave this summer, as they are all driven and highly motivated. Make the most out of your business trips. Traveling for work is a fact of life for me. Thankfully, I chose a job that doesn’t require me to be gone for three-plus days of the week. That said, my husband or I each usually spend a week away from home in any given month. This winter, we were pretty much alternating trips to the West Coast every two weeks. And right after winter break, I had two days back in New York before heading to Las Vegas for the Consumer Electronics Show with my team. I thoroughly enjoy the uninterrupted sleep and a hotel bed all to myself, but I like to minimize the time away. When you do decide a business trip is necessary, be thoughtful in how you schedule it. I try to book flights so that I can leave after I drop my son off at school, and return in time to pick him up. Before having kids, I would proactively build in a mini vacation and stay a few extra days with friends. I still squeeze in time to catch up with friends when I can, but I also try to make trips shorter. I also save time by avoiding checking bags. Plus, remember that you don’t always need to be the one traveling. That’s why you have colleagues and a team. I recently sent my colleague to the Code Media conference and a Tech & Innovation event at our Los Angeles GA campus, and my team will continue to travel for me throughout the remainder of my pregnancy. I’m also fortunate that most of my partners are based in New York and L.A. and are completely open to video conference options or seeing me when they are in NYC for business. You have to make your travel work for you. Work-life balance is tricky at all points in your career and I choose to embrace it rather than fight against it. You need to take ownership of your balance as no one will do it for you. Remember to smile and just breathe, as it gets easier. It’s also OK to ask for help — you’re not expected to figure this all out on your own. A HUGE thank you to my amazing family, husband, daycare teachers, friends, babysitters, colleagues, mentors, and adorable son for pitching in, being so understanding, keeping me energized, and helping me attempt to balance things in what can at times seem like total chaos. The above tips are what have worked for me and my family so far. But every situation is completely different. I’d love to hear your personal tips for attempting to juggle a family and career; drop them in the comments below! Thanks.